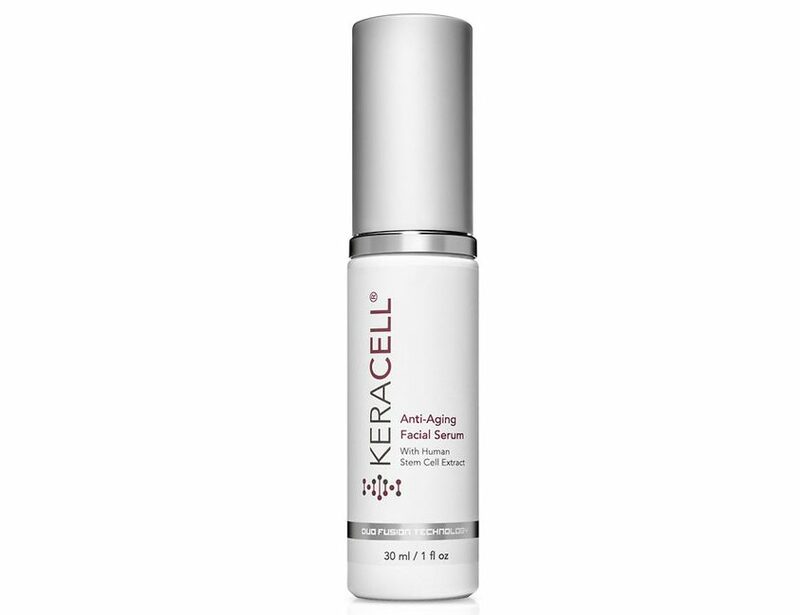 KERACELL® Anti-Aging Facial Serum, featuring MHCsc technology, is a nourishing blend of the world’s leading anti-aging ingredients and Peptides that help protect your skin from oxidative stress, moisturizes and nourishes your own stem cells for more healthy and radiant looking skin. Use daily for optimal results. Deionized Water, Stem Cell Conditioned Media, Maltodextrin (and) Swertia, Chirata Extract Glycerin, Propanediol, Hexapeptide-33, Panthenol (Pro-Vitamin B5), Hydroexyethylcellulose, Lactic Acid, Phenoxyethanol, Ethylhexlyglycerin, Natural Fragrance. Following cleansing, apply to face, neck and décolletage in upward motion while skin is still moist. Continue with regular beauty routine.